K-141 Kursk was a Russian Oscar II -class nuclear powered submarine capable of carrying 24 cruise missiles and 24 torpedoes. She was one of the first vessels to be taken into Russian military service after the collapse of the Soviet Union, served for 5 years in the Northern Fleet before tragically sinking during an exercise into the depths of Barents sea on August 2000 with the loss of all hands. It was later discovered that she sunk due to series of explosions, first of which was most probably caused by the hydrogen peroxide used as a propellant in the old Soviet torpedoes and subsequently detonating kerosene and other armaments on board. While 23 of the 118 personnel survived the explosions, delayed rescue operations led to rest of the crew suffocating. 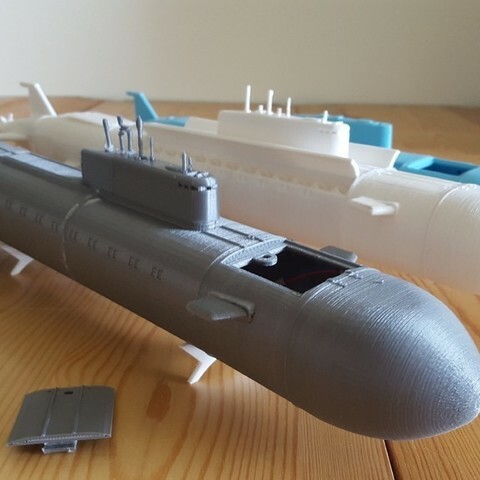 Even with this tragic story, or perhaps because of it, who doesn't want to have a nuclear submarine on the desk? 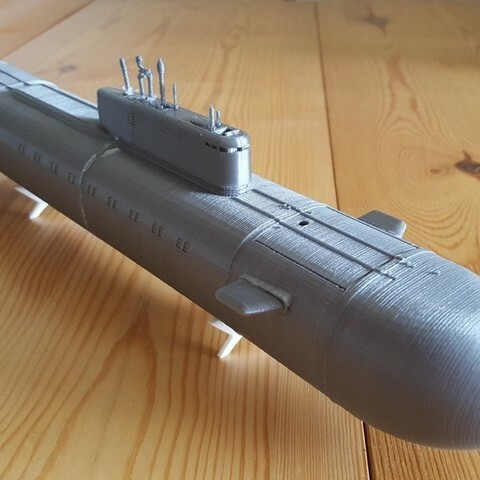 I think submarines are interesting. They are somewhat like mysterious underwater predators, gliding calmly below the surface in total silence, unseen and hardly detectable. 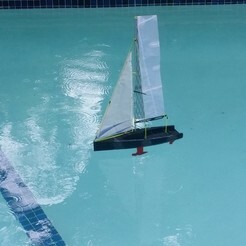 Once I noticed the #MakeItFloat challenge I started thinking something different to participate with than regular boats so I decided to combine a little bit of history into the competition. Later when I figured out I could actually do this, I wanted to add more details and it kind of spiraled from a simple display model to fully functional RC vessel. This is the second ever "multi part" model I've made and let's just say it's been a rough ride through Youtube tutorials and online manuals :) But I'm proud of what I've accomplished already in terms of learning. Honestly, I didn't think I'd get even the hull done when I started. I've also made lots of calculations for buoyancy and carrying capacity, this model does float and is able to move powered by a small motor (or dual motors), turn with rudder and stay in balance with the side planes. There is also a compartment for counterweights in the bow to further balance the vessel when motor and rudder controls are fitted to the stern. The biggest challenges for me were, as mentioned above, first learning how to use the software properly to design such a complex model with lots of detail. Secondly I struggled with fitting all the RC components inside, as there really is not too much room in the hull and I wanted to keep the original dimensions so widening the hull wasn't an option. I also have zero experience of RC boats so figuring out how to make rudder turn etc were something that took me many hours to complete. 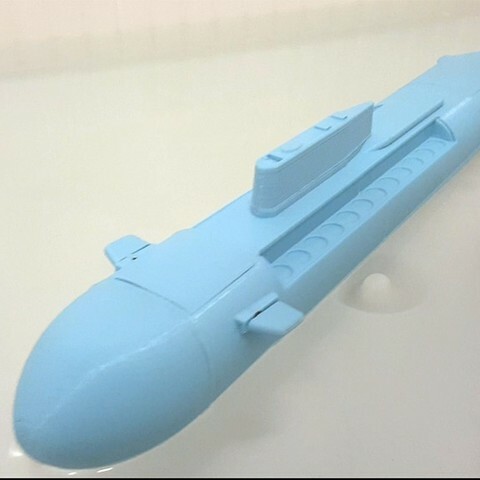 I also wanted to combine a few different materials to make it more reliable and at the same time more fun to build, so each opening in the hull is meant to be sealed with parts printed out from NinjaFlex or similar flexible material to keep water out from inside the hull. Dive! Dive! Dive! The newest revision allows you to add components necessary to make this thing go underwater. This was something I dreamed of accomplishing when I started this build, and now it's here. Diving mechanism is made as cheap as possible, consisting of 2 x 30ml medical syringes acting as a piston ballast, fitted with a small motor and a leadscrew to push/pull the plunger. Water intake comes from the bottom of the main hull. 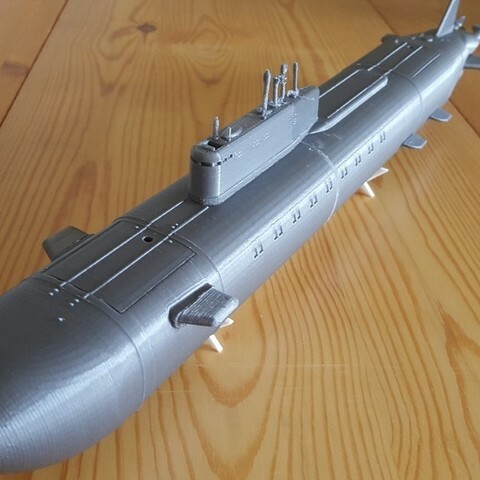 Now it goes without saying but taking this vessel underwater is a task that requires lots of care in printing quality, sealing all the possible leaking points. As RC controlled you may also encounter some issues with radiowaves not penetrating deep enough to the water, so make sure your radio operates in a wavelength that can be used in submersible applications. 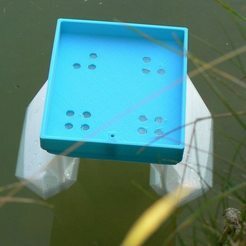 Cheap-o alternative is to wire the RC components into a buoy and let that float on the water surface, connected to the submarines motors via wiring. To make this dive, you need to carefully measure the weight of the whole assembly without water in the ballast, then fill in with coins or similar and measure the point where it sunk. Remove ~40g from the sinking point and you're golden with the ballast system filling in total of 60ml of water (~60g). The files for this revision are available in a simple .zip file named as 2.0 DiveKit. All the rest of the parts are similar to v1.5 so it's easy to upgrade to this version even if you already started printing the 1.5. 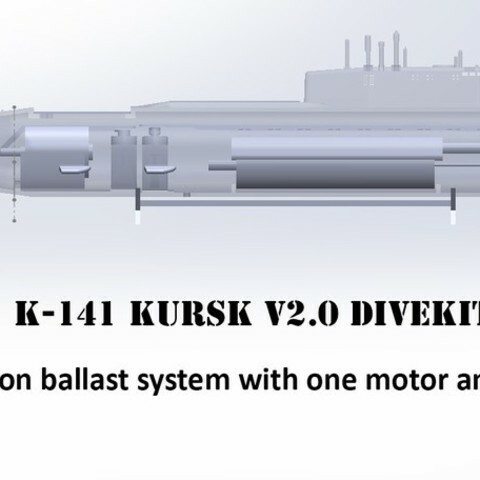 Main differences in the divekit are the mounting points for the ballast system, and removed missile bays from the main hull to get more room to fit battery etc inside the vessel if needed. This is very experimental proof-of-concept build and v1.5 should be still considered as the default build, I just fail at version numbering ;) With this I will also remove the work-in-progress stamp from this project and consider this finally complete. 5th Jul. Updated files for the current revision. This revision comes in two flavors! RC-version with all the interior parts for mounting electronics and a pure display version which has all the interior parts shaved off to save in printing time and materials while providing detailed model to be put on shelf. 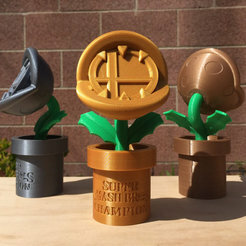 Choose your pick and print away! All files are checked with netfabb, oriented and ready to print. Easier to print, easier to assemble! Two versions: RC-ready and Display-only. Zip files provide easy way to download all the necessary files for either model with one click. Pre-split taller parts to make them fit smaller build spaces. Fixed many dimensions to match original Kursk with more precision. Fixed many small gaps and too thin walls. Tested with electronics, added servo mounts, finished pushrods, motor mounts etc. Fixed missile bay hatch mounting. Added PDF instructions for assembling. Added fastening features for maintenance hatches. Three different propeller types for the best thrust with whatever RPM your motor provides. Added .STEP file for easier modification of the model. 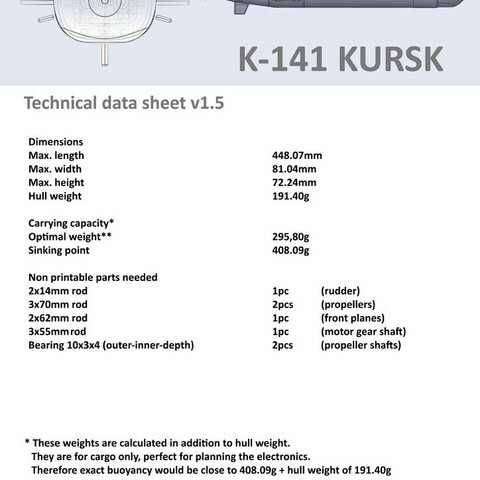 Added datasheet with full measurements of cargo capacity and dimensions as jpeg. Testing was done by filling the hull with euro coins. All plastic parts printed from PLA, 0.2mm layer height with 2 perimeters and 25% infill. 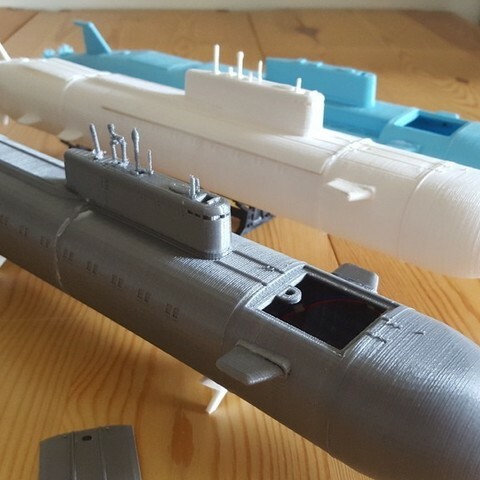 Hull parts for RC version printed with Slic3r automatic supports enabled. Display version should not need supports at all. Watertight sealing printed from NinjaFlex, 0.2mm layers with 1 perimeter and 100% infill. Please keep in mind that these settings are highly printer specific and your printer may require more perimeters to keep the parts water-tight. If you own Delta type printer with tall build space, you can print the main and rear hull parts as they are. For printers with lower maximum build height there is pre-split files provided. 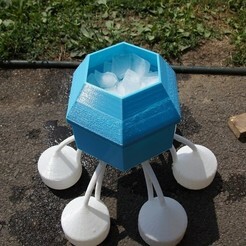 This should make it possible to print this model with almost any kind of 3D printer. Insert rudder and prop shafts and seals to the rear hull. Insert two 10x3x4mm bearings for the prop shafts and attach the gears with glue. Attach motor with its mount, motor shaft, servo with rudder pushrod and other electronics. Insert front plane shaft, and possibly another servo if you want to go high-tech to make those movable via RC as well, although they do not provide any other than visual purpose for the model. Glue hull parts together with superglue, check for open holes left from printing mistakes. Seal these holes with superglue, silicone, hotglue, whatever floats your boat ;) (pun intended). Assembly instructions are available as pdf in the file download section.